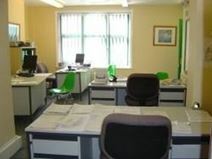 This modern and serviced studio and office space is situated just to the east of the town centre at Daneshill. All offices are fully furnished to the highest standards. An award winning modern office complex with an outstanding package of support services. A short walk from town centre shopping and Basingstoke station, offering travel to London Waterloo in approximately fifty minutes’. Quick links to the ring road and M3. Easily accessible by road via Junction 6 of the M3 this modern, architecturally-designed centre is in the heart of Basing View, a five-minute walk from Basingstoke Train Station and provides Grade A office space of varying size to suit anyone from SMEs to entrepreneurs and larger corporations. The centre offers kitchen facilities, meeting rooms, postal facilities, a business lounge and an on-site management team. Just minutes away from Estrop Park, John Lewis and Basingstoke train station in the heart of a vibrant innovative community, this space offer an energetic and productive environment to grow and scale your business. There are meeting rooms available on-site, and the property can be accessed 24-hours a day. There are several great places to eat and drink in the area as well as a range of hotel options. 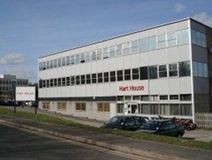 Award winning for the innovative design, this centre located in Basingstoke, next to Eastrop Park, offers a variety of workspace including serviced offices, and larger self-contained offices with their own kitchenette. A variety of meeting rooms with interesting designs, an impressive roof garden, and a manned reception are all also available at this centre. Basingstoke Railway Station offers services to London, Birmingham and other destinations. A Grade II listed building, situated in central Basingstoke, offering office spaces in a choice of styles. Conveniently located for the Festival Place Shopping Centre and Basingstoke station, with direct services to London Waterloo. Junction 6 of the M3 is easily accessible. An open-plan co-working office space is immediately available to let in a modern building already hosting a recruitment firm. This space is ideal for a small company or entrepreneur and is provided with a full range of services and facilities. Located in the north part of Basingtoke town centre, the building is surrounded by restaurants, hotels, shops and entertainment and is excellently served by the motorway and by public transport. Fully furnished offices with round the clock access, available in modern premises off the northern section of the Basingstoke Ringway. Conveniently located for a Royal Mail depot. There is ample on-site parking. There are direct links to the M3 motorway, and the train station and town centre shops are less than a mile away. A business centre offering various sized office and storage spaces on short, flexible leasing terms. A full despatch service is available. The property lies adjacent to the A33 Ringway East with direct access to the M3. Basingstoke town centre and train station, for services to London Waterloo, are a short drive away. The town centre offers great places to eat and drink, as well as The Mall Shopping Centre. A business centre with on-site management team, offering various sized offices, workshops and storage units. Premises have round the clock access and are CCTV monitored. There are ample parking and loading areas. Located a short drive from Basingstoke town centre, just off the East Ringway which feeds into the M3. The railway station offers direct services to, amongst other destinations, London Waterloo. This centre provides a virtual office contract, with professional reception and secretarial services featuring highly efficient mail and call handling/ forwarding. 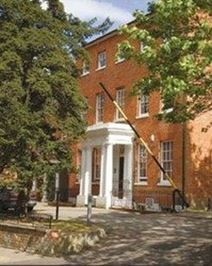 Meeting rooms are available on-site, which is a large Georgian house located in Basingstoke town centre, a short walk from the train station. Managed business accommodation in a gorgeous, large 18th century home and coach house. The property is beautifully renovated whilst retaining many original features. The attractively landscaped grounds include a tennis court. Located at Worting, a short drive from the A30, M3 and the centre of Basingstoke. The space has good access to airports, with Heathrow Airport being less than an hour away by car.